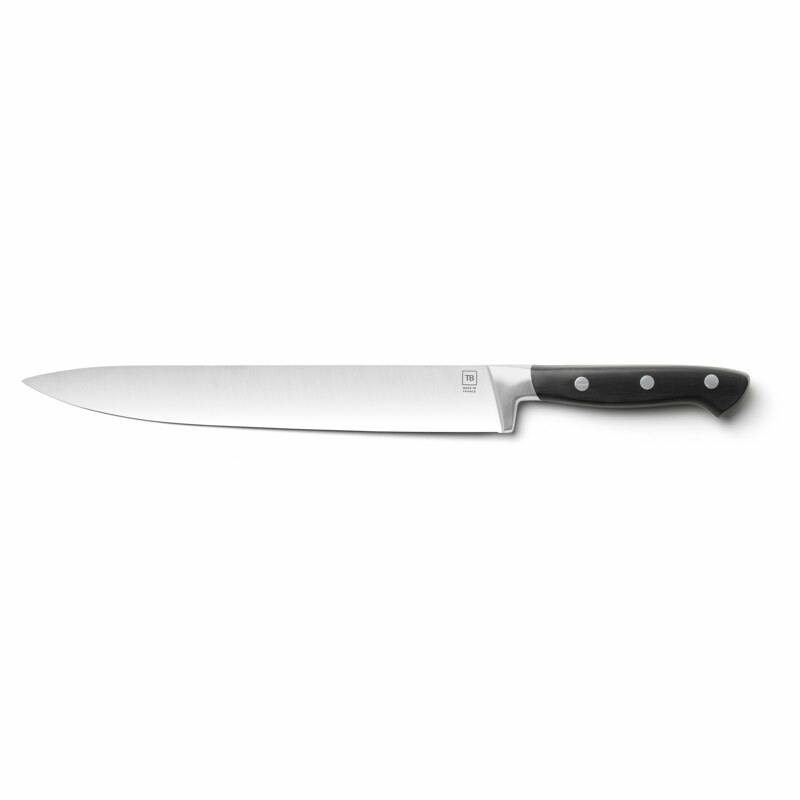 This Forgé Traditionnel ham knife offers a very contemporary shape with its ultra sharp and slender blade. 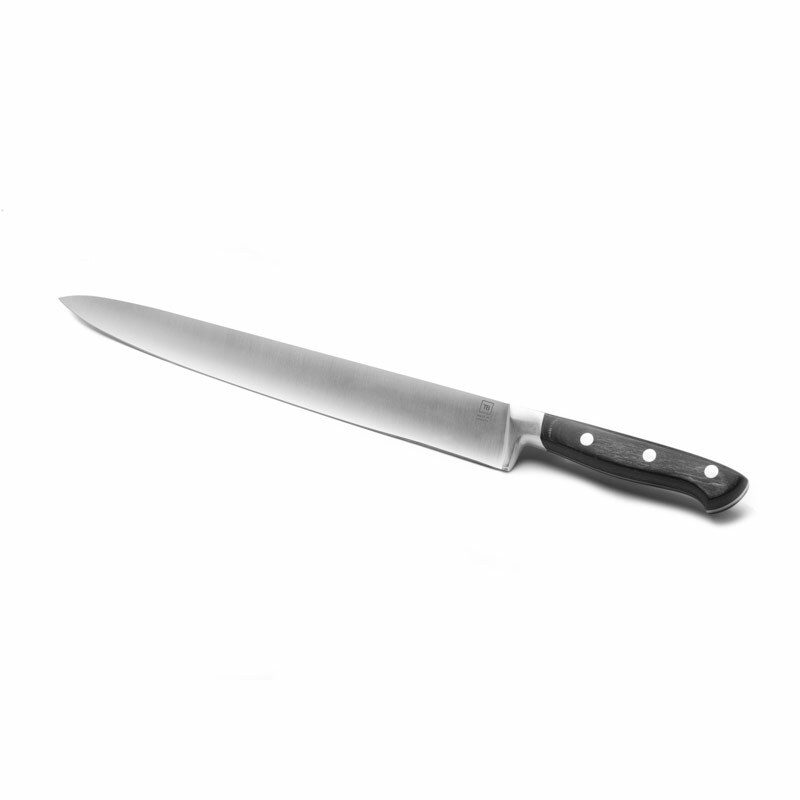 Made of stainless steel, this wonderful full tang blade benefits from an extremely precise sharp edge that guarantees a flawless cutting. 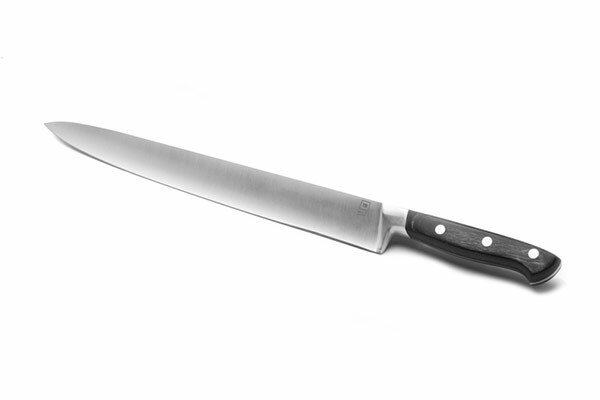 This ham knife cuts very easily and neatly any meat. This forged knife is manufactured by the company Tarrerias-Bonjean whose know- how comes from several generations. 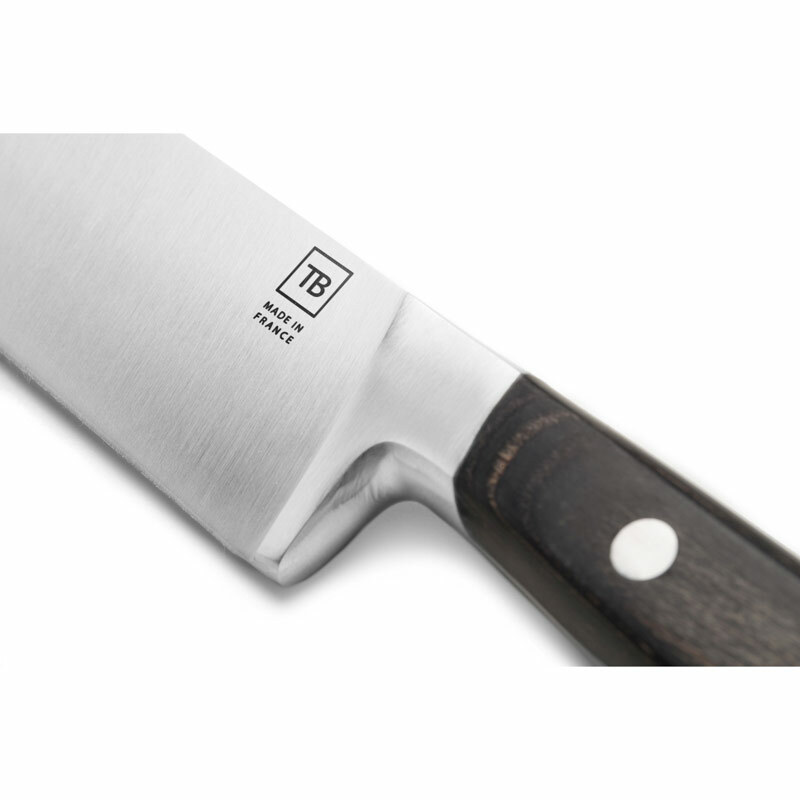 Attentive to cooks’ needs, TB Groupe developed a sturdy and performing ham knife, made of high-end materials. More than offering a great ergonomics and robustness, its bakelised wood handle is also very easy to clean as it can be placed in a dishwasher. This Made In France knife is a very original gift to make as a personalised writing can be engraved on the blade up to 30 characters.